I've applied for business visa to Canada online on April 2016 to attend a10 days training on office furniture. I've provided all the documents they stated on their check list and after approximately 45 days from the date of submission, they refused my application and served me with refusal letter as attached. I don't really know why they refused the application although I've submitted a detailed letter from my employer stating that they'll cover all the cost of travel. I even submitted a translated copy of my property contract along with my application as well as my family residency cards to prove that I have ties to Saudi Arabia. Does anyone have a clear explanation regarding this refusal? 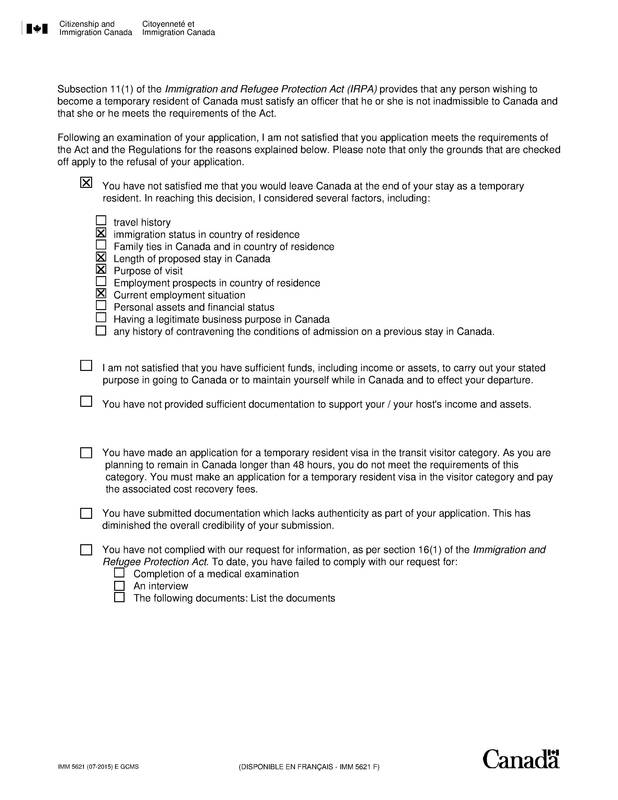 Browse other questions tagged visas canada visa-refusals applications or ask your own question.